Killian makes a living enforcing other people's laws, collecting debts, dealing out threats and finding people who do not wish to be found. But when Richard Coulter, an Irishman with political connections, offers him half a million to track down his ex-wife and children, Killian finds himself embroiled in something far bigger than he bargained for. 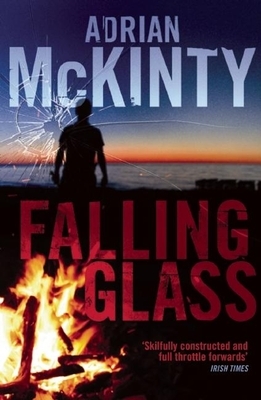 Adrian McKinty grew up in Northern Ireland and lived in the United States for a number of years. His novel Fifty Grand won the 2010 Spinetingler Award. Adrian McKinty grew up in Carrickfergus, Northern Ireland. After studying at Oxford University he moved to New York City, working in bars, bookstores, building sites and finally the basement stacks of the Columbia University Medical School Library. In 2000 he relocated to Denver, Colorado where he taught high school English and began writing fiction. His debut Dead I Well May Be was shortlisted for the Ian Fleming Steel Dagger Award and his recent novel Fifty Grand won the 2010 Spinetingler Award. In 2009 Adrian moved to Melbourne, Australia with his wife and two children.